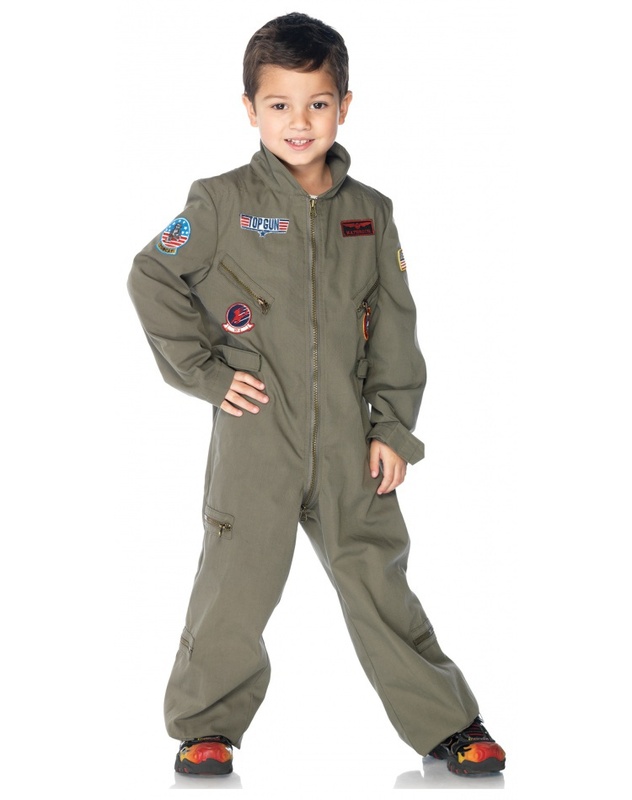 The Top Gun costume for boys includes a Naval aviator flight suit with sewn on patches. This military pilot outfit for kids is great as a Maverick Top Gun Halloween costume or as a dress up flight suit for pretend play. 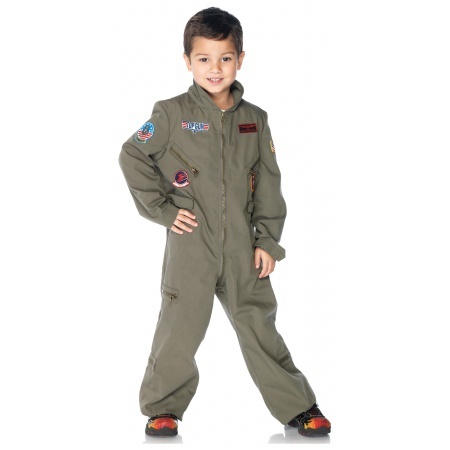 This Top Gun boys flight suit costume comes in child sizes Medium, X-Small, Large, Small. Father-son Halloween costumes idea: Match this children's Top Gun costume with an adult Top Gun flight suit for a Maverick and Goose costume duo. This Top Gun boys flight suit costume is an officially licensed Top Gun costume. Our Top Gun boys flight suit costume is the perfect pretend play dress up outfit or Halloween costume for boys who feel the need for speed!